Not only is perpetual adolescence evident in those on the left and the politically disinterested (for whom cultural leftism represents the path of least resistance), it is often celebrated in their leaders. For those of us further to the right (for short, let’s call ourselves People With Some Idea of the Destruction Left Wing Ideas Wrought Over the Last Century), this is precisely how we view those on the other side, whether we realize it or not. Consequently, when we see Justin Trudeau rise in defence of some antiquated idiocy he clearly does not comprehend, or Elizabeth May throw up all over herself in an attempt to be “edgy,” we may kick up a fuss for a few days, but we let it pass since, candidly, we expect no better of them. First, to May. The Greatest Columnist in the World, Mark Steyn, averred on Toronto radio that the Green Party poobah was not drunk when she issued her recent cringe-inducing, Khadr-praising, profanity-laced diatribe at the Ottawa Press Gallery Dinner, but is simply so cloistered among her juvenile fellow travelers that she thinks this is what passes for wit. Perhaps. Whether May was topped up on organically brewed firewater or not, is anyone genuinely surprised that she would utter such nonsense, or that she would retain her position after doing so? Of course not – it’s just another leftist leader saying dumb things and facing zero consequences as a result. 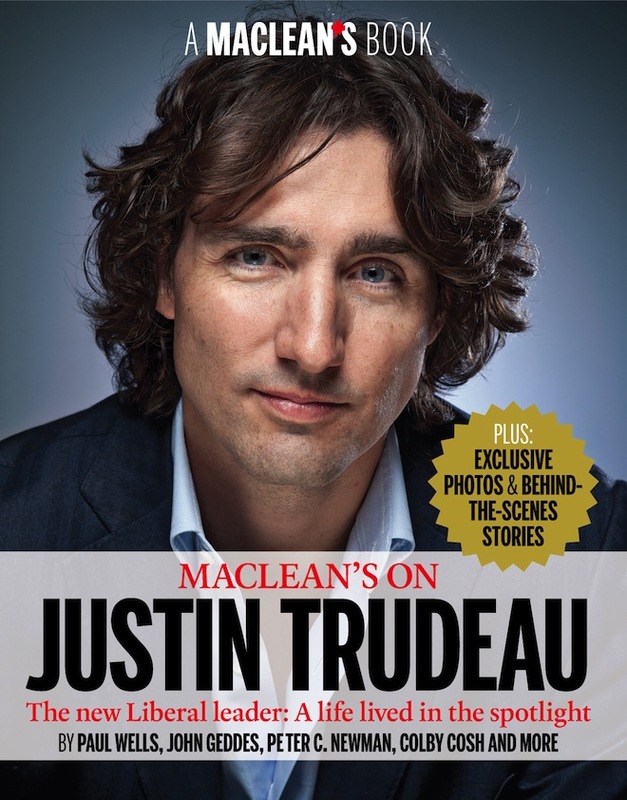 Justin, meanwhile, made fewer headlines than he should for telling the House of Commons that “benefitting every single family is not what is fair.” As Liberal leader, and a breathtaking ignoramus even by the standards of his predecessors, Justin prefers to pick and choose who benefits from government largesse, rather than craft the best policy for the nation. Moreover, he is utterly benighted as to the consistent result this approach has achieved. In the case of both May and Trudeau, these are the acts and ideas of children. Once again, search your heart: Are you surprised? Thus, the familiar right-wing plaint, “If a conservative did the same thing, there’d be hell to pay” is rendered moot. Conservatives are invariably the adults in the room. We cannot live down to the puerile level of the left, and an argument that presupposes we might goes nowhere. It’s like the Ray Romano routine about how if your 3-year-old names all her toes, it’s cute, but when Grandpa does it, it’s a tragedy. Of the two, Justin is by far the more consequential. 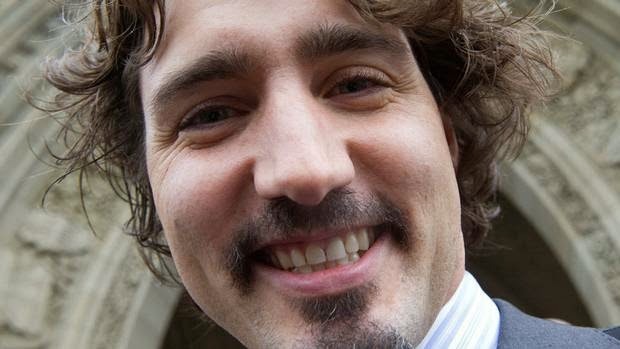 While May is a self-serving sideshow, nominally representing a gaggle of greened-over weirdos and cop-out artists, whose response to difficult policy questions is to retreat behind environmentalist bromides or spew schoolyard inanities, there is a decent chance Justin will be Prime Minister someday. Whether or not this comes to pass, the fact that it is a possibility is an indictment not only of the left, but of every voter who squanders this country’s cultural heritage by failing to recognize an idiot when he sees one. And no Old Testament prophet gave clearer signs. Coupled with his remarks, just take an objective gander at his expression. Beneath the veneer of cosmopolitan competence is a pained, confused look like Zoolander workshopping Magnum. Left or right, simply look at this man and listen to his bleatings. There’s nobody home and you know it. This did not begin, nor will it end, with Trudeau and May. Decades ago, Liberal Sheila Copps, as ridiculous a public figure as Canadian politics has ever produced, was Deputy Prime Minister. None who remember her from those days, or who have heard her policy silly-bears lately (“global warming” continues to haunt her nightmares, Sheila not having been hipped to the updated, CYA, catch-all term, “climate change”) could look to her for rational, grown-up leadership. Copps remains perpetually aggrieved and animated by befuddled feminism, as though leftist women were signatory to Section 5 of NATO – an attack on one is an attack on all. Yet this absurdity was placed a heartbeat away from wielding benign dictatorship over the nation. In this way, Trudeau, May, et al., are a continuation of an age-old tradition, of whom Copps was merely a generational marker. Of course, this phenomenon is not peculiar to Canada. Democrats Joe Biden, Nancy Pelosi and Rep. Hank Johnson (who famously worried aloud if excess population could cause Guam to capsize) stand as living testaments to the American left’s tolerance for dimwittedness. Lenin infamously contended that “useful idiots” in the West would enable the spread of communism. At least Lenin had an agenda (and, tragically, a fair degree of prescience). Today, the left elevates acceptable imbeciles not out of some ideological imperative but because, like children, they don’t know any better.